Located in the Persian Gulf, Bahrain is an independent kingdom merging historical landmarks with modern opulence. With a population of just over 1 million people, Bahrain’s cities and villages are home to an eclectic mix of ancient ruins, marketplaces and luxury apartments. Popular attractions include Qal’at Al Bahrain (Al Qalah) and the beach resorts of the Amwaj Islands. Weave through bustling bazaars and laze on silky beaches because cheap flights to Bahrain are now available! The country’s hub airport is Bahrain International Airport (BAH), a 20-minute drive or train commute from the capital of Manama. Discover Bahrain’s heritage of Portuguese, Greek and Arabic influence in its historic landmarks and culture. From crumbling ruins to white-washed villas, each city is a slice of history waiting to be discovered. Whether you plan on forking out some serious money on luxury brands or simply haggle your way through the scented bazaars, Bahrain’s shopping experience will delight you with its variety and flavours. The golden coastline is fringed with date palms dotting the shore, while the turquoise lagoons and reefs are a diver’s paradise. Hop on a jet ski or kite surf your way to the seaside cafés and barbecues! With its desert climate, Bahrain experiences two seasons – hot and scorching. Summer occurs between May and October with hardly any rainfall and prevailing winds. Winter (November-April) is, therefore, the best time to visit with warm days and cool evenings making beach days and sightseeing much more favourable. Renowned for its stunning pearls and aquatic gems, Bahrain is now more popularly mined for its oil and has become an exotic getaway for local and foreign tourists. 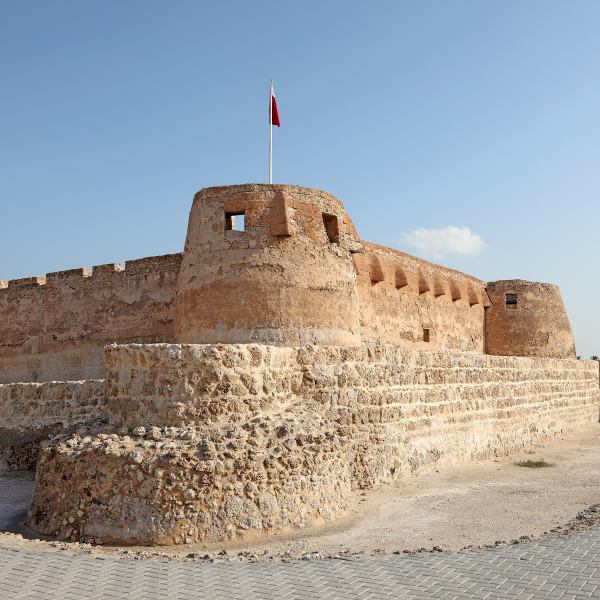 Bahrain is home to the decaying ruins of the Dilmun civilisations, charming desert towns, incredible scuba diving sites and, its famous fortress of Qalat Al Bahrain. Manama is the capital city, teeming with history and culture in the way of museums, shopping malls and bustling souks where you can find the most exquisite carpets, spices and pearls. The old-world character of Riffa is evident in its ancient fortresses and Arabic bazaars, while its modern golf courses and high-rise hotels give it an eclectic atmosphere. Explore the ruins of Qal’at Al Bahrain, a UNESCO-acclaimed fort dating back to 2,300 BC. The villages near the western coast offer the best in souvenir shopping. 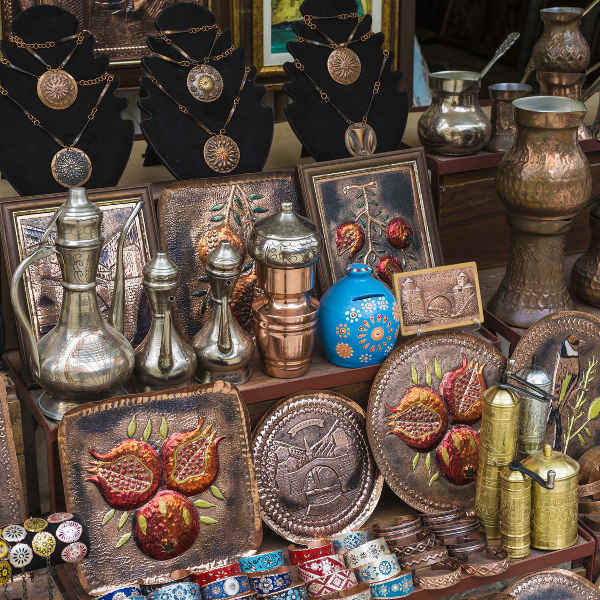 Pick up some authentic ceramic crafts, colourful tapestries and fine coral stonework as a memento. For a glimpse into the playground of the rich and famous, the Amwaj Islands boasts the best in middle eastern opulence with their white-washed towers contrasted with luxury apartments, yachts bobbing along the bay and beaches stretching on for miles. Similarly, Zallah, situated just off the western coastline is populated by turquoise lagoons, breezy date palms, while jet skiing and kite surfing are just a fraction of the water sports you can enjoy. Compare several airlines, and book your cheap flights to Bahrain today! Bahrain is a fairly safe country to explore, despite its location harbouring political and social conflict with other nations. Keep abreast of current affairs and do not venture into unsavoury territory. 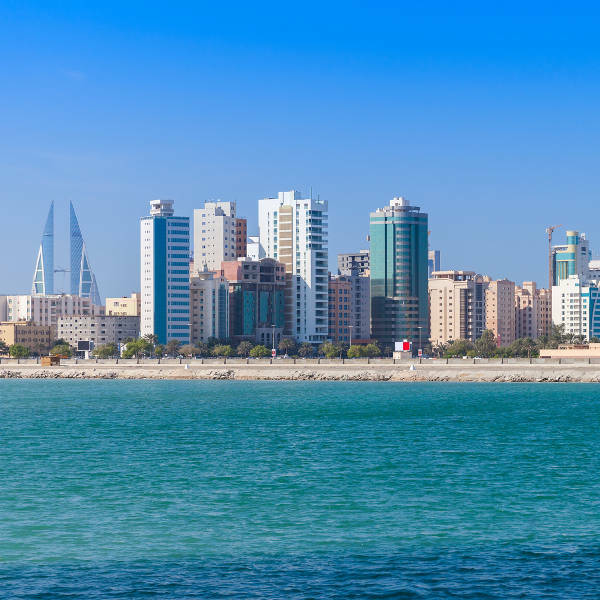 A strong police presence in Bahrain has deterred general crime, but tourists are still encouraged to exercise caution, especially in busy areas where pickpocketing is known to occur. Men are advised to not keep wallets in their back pockets. Only take metered taxis to avoid being overcharged. Dust storms are a natural hazard to be aware of, but locals will gladly assist you indoors if you happen to be caught in one. Respect the local norms and customs. Public displays of affection are strictly frowned upon and may even lead to arrest. When out in public, dress modestly – this means long pants for men and no sheer clothing for women. Bikinis and swimwear is perfectly acceptable in beach clubs. Stick to bottled water and stay well-hydrated, especially in the scorching summer months. A strong sunscreen and umbrella is recommended to shield you from the blazing sun.